Sometimes, even the best breweries overlook the Pilsner style. This one comes to us from Great Divide Brewing, based in Denver, Colorado. Founded in 1994 by Brian Dunn, the company began in an abandoned dairy processing plant. Dunn was a homebrewer and an international traveler who had a passion for beer, and thought Denver could be a great craft beer town. 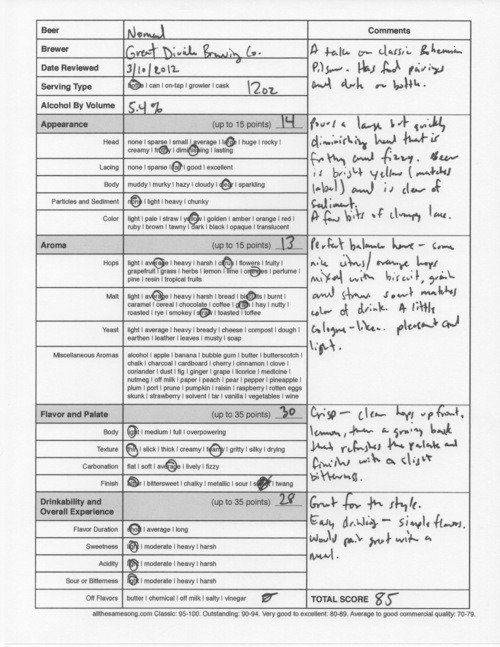 Turns out he was right, and Great Divide have prospered, earning seventeen Great American Beer Festival medals and five World Beer Cup awards. 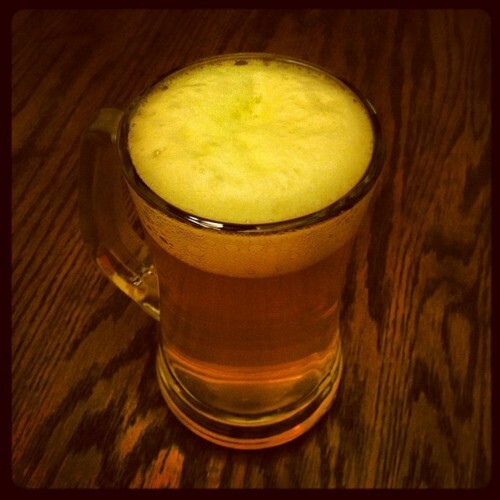 The pour gave a beer with a large but quickly diminishing head, frothy and fizzy. The beer was bright yellow in color and almost matched the label on the bottle — I don’t know if the color on the label is supposed to match the contents inside or not. The liquid was translucent, completely clear of any particles or sediment, and a few bits of clumpy lace was left behind while I sipped. The aromatics showed (as advertised) a perfect balance between hops and malts. There were some nice citrus/orange notes bouncing around biscuit malt, some grain and straw. The overall scent was kind of cologne-like, but was pleasant, light, and slightly sweet. 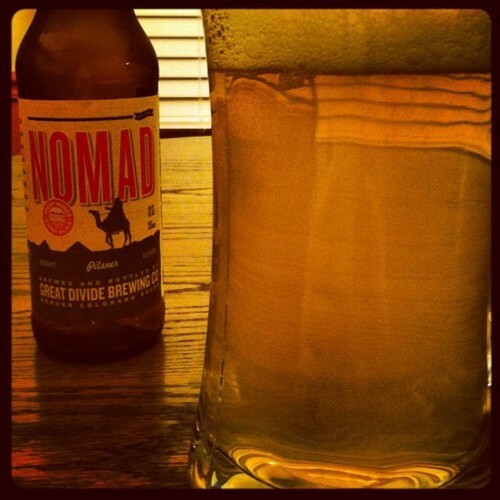 Nomad hits the palate and the crispness of the beer was immediately felt. There’s some lemon flavors from the hops up front, and the back end of the taste turns to grain and finishes with a light bitterness that both quenches the thirst and makes you want another sip. Before I knew it, the entire glass was gone. For a Pilsner, this one is great for the style. Easy drinking, a simple group of flavors, and would pair extremely well with just about any food. In fact, the folks from Great Divide have put some suggested food pairings on the bottle, along with the date the beer was put into the vessel, which is always a plus. 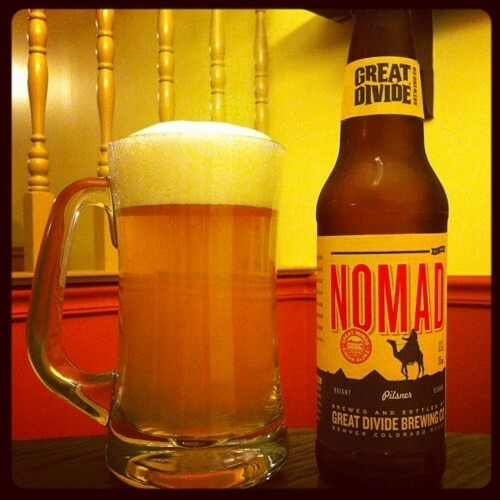 Great Divide Nomad Pilsner, 85 points. Price: $1.99 US for one twelve ounce bottle.